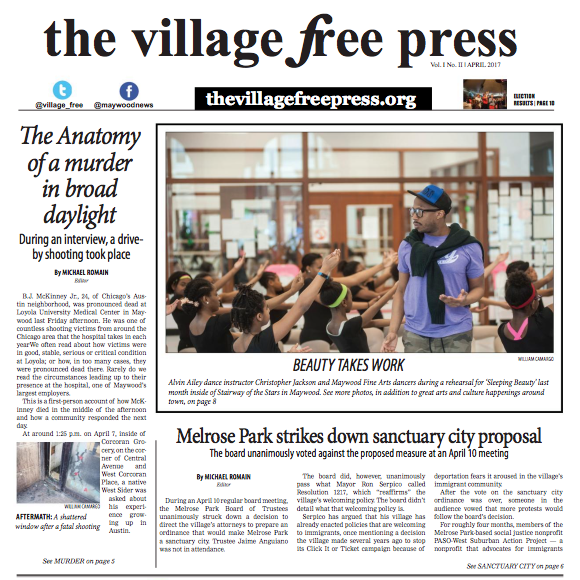 Since 2013, the Village Free Press has provided Maywood, and surrounding communities, with independent local news. And from the very beginning, we've always focused on growing and getting better. In March 2017, we partnered with Wednesday Journal Inc. to launch our first monthly print edition. Every third Wednesday of the month, we circulate 3,000 copies. In addition, this summer, we'll welcome our first class of interns who will help us provide even more original local reporting and grow our reach (both in the community and online). We have to pay people to produce content for the website and online (photographers and reporters). We have to pay our printer. We have to pay people to deliver each month's batch of newspapers and for the gas. We have to pay our sales representative. We have to pay our partner, Wednesday Journal, for offering invaluable resources (such as advertising design and layout expertise). And that's just a small list (to say nothing of accounting and legal fees). As we grow, so does our overhead. But we're not mad, because guess what? We're producing content for our community. We print a paper for our neighbors and local businesses to enjoy. The people we pay to deliver the paper live in Maywood, or a neighboring town that may benefit from our reporting. 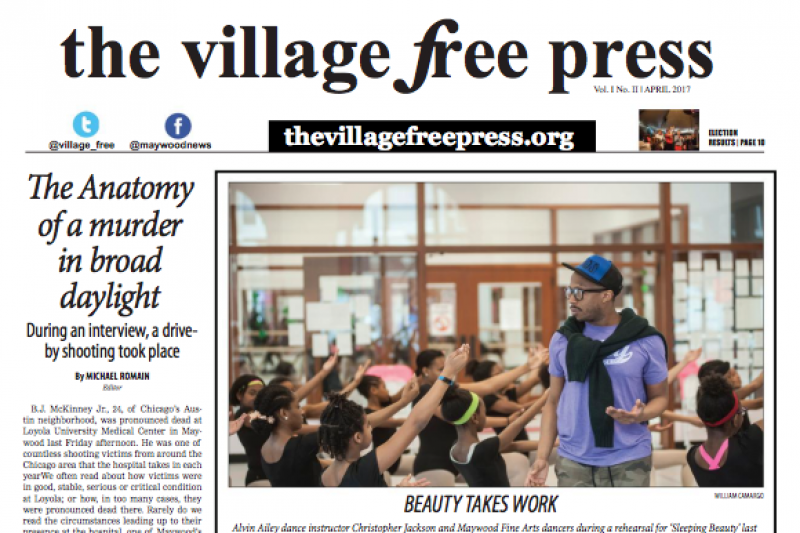 So, trust that every dollar and cent you put into Village Free Press stays in the communities that you care, and want to know more, about. This isn't charity, it's mutuality. From Anahi Soto and family all our garage sale proceeds go to you, thank you for shining a light on the important things. The publisher makes a tremendous contribution to the knowledge base of our community.